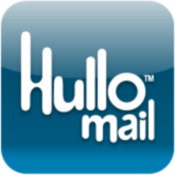 Hullomail is a multi-platform app (iOS, Android and BlackBerry) which is designed to replace your voicemail. It allows for visual voicemail and you can save your stored messages. There is a free version (ad supported)and pro version ( for a small annual subscription). It allows you to create custom voice messages for specific contacts or you can send people hullo messages (voice recordings). As apps go I think it’s absolutely wonderful but there is one pit fall. On my network I have free unlimited landline calls and because Hullomail diverts your voicemail to a different local number it costs me nothing, but for others when you divert to a local number other than your voicemail you’ll pay for that call divert. As with most apps nowadays this one uses data to send you the recording of the voice mail so as always make sure you’ve sufficient data in your plan to take maximum advantage of the app. If you are outside of data coverage for whatever reason you can still dial into your voicemail over a call. The app can sync your contacts on your Gmail account and with all the “hacking” scandals going on you’ll rest assured that Hullomail requires a password to listen to voicemails when you dial in.